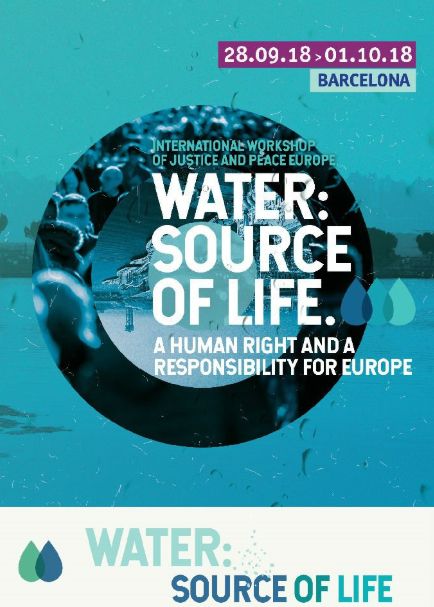 With the title “Water: a source of life A Human Right and a responsibility for Europe”, this meeting will be part of the celebrations for the 50th anniversary of Justice and Peace Barcelona and the General Commission of Justice and Peace Spain. Turning 50 is always worth celebrating and Justice and Peace Barcelona will do this hosting the next international seminar of Justice and Peace Europe, from 28 to 30 September, with a space for learning and reflexion that is open to all. The title will be ‘Water: a source of life. A Human Right and a responsibility for Europe’, and the seminar will look at the issue of access to and use of water globally, from different perspectives. 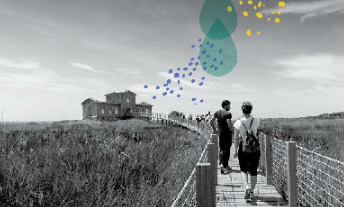 Besides the analysis of experts, the seminar will include other activities, also an excursion to the delta of the river Llobregat, a visit to the “field hospital” of Saint Anne’s parish and dinner in the cloister, as well as a guided tour of the Sagrada Familia. The day following the seminar, on 1 October, representatives from different European Commissions will go to the Cave of Saint Ignatius in Manresa to hold the General Assembly of Justice and Peace Europe. For further information on the activities you can check the programme for the seminar. The seminar is open to all and has a cost of 95€ per person for those wishing to participate from Friday to Sunday (it includes two dinners, two lunches, two coffee breaks, transportation to the delta by bus and the materials for the seminar). If you would prefer to participate only in some of the activities, you may enquire about the cost of this writing an email to premsa@justiciaipau.org or calling 93 317 61 77.
online registration is already open.